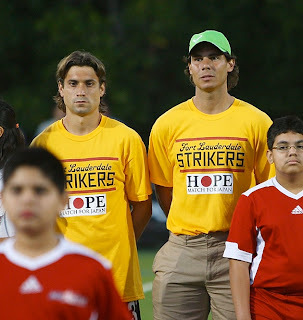 Striker Likers: Nadal a Striker! Just for a day, but who says we can't dream. As a follow up to yesterday's post, check out Sports Illustrated's gallery of the Strikers v. Tennis Stars charity match to raise funds for Japan aide.